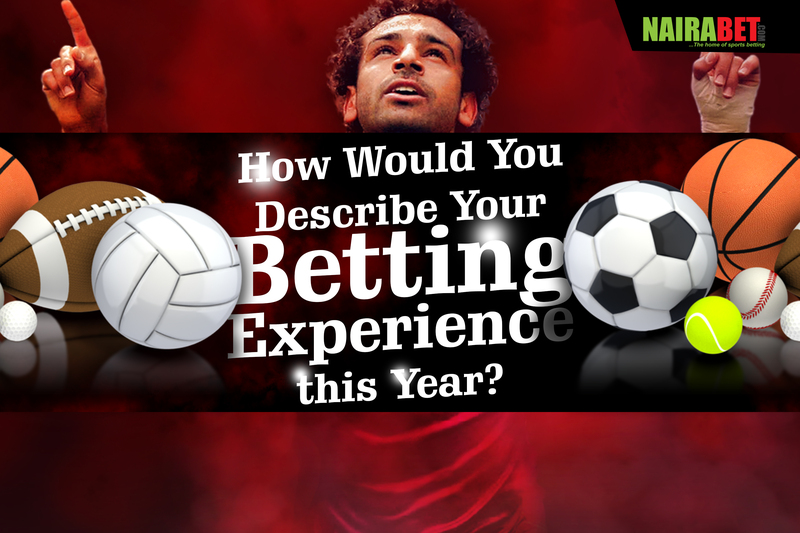 How Would You Describe Your Betting Experience this Year? The year 2017 has got just a couple of days before it expires. Of course we’re thankful for life and the gift of being able to have made it this far. Yes, it was sort of a fast year, especially if you start to consider all the sporting events that went down this year. From the Australian Open, League Cup final, to the NBA Play-offs, Champions League final, FIFA Confederations Cup, Super Bowl amongst others, so much has happened this year. For some bettors, this year was one where everything seemed to work in their favor. One way or the other, they enjoyed huge earnings from their betting business during the year. For most of these folks, they must have diversified and placed their bets on a wide range of sports. On the average for some of them, they were able to make at least one withdrawal every month. Steady earnings, steady winnings and steady payouts. Was your betting experience this awesome? 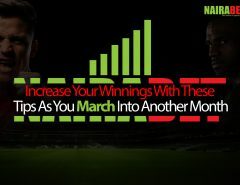 Click here to open a NairaBET account. Registration is as easy as saying 1,2,3. When we say mind-blowing, we’re referring to the kind of winnings that leaves your mouth ajar. 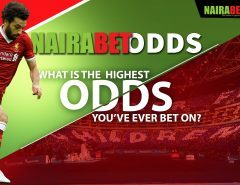 A winning bet-slip with games that seems almost impossible to imagine a win for, like the lady that used N2,000 naira to win N16 million naira. Yours doesn’t necessarily have to be a large amount like this. 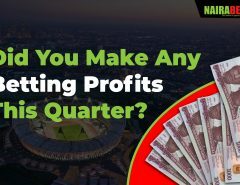 But did you have a mind-blowing betting experience in 2017? Shock here can mean two things. One, it can mean a mind-blowing one like we mentioned in the second point where you made so much money that it made your head twirl. The second means that you weren’t as lucky with your games. Remember Chelsea’s shock loss to Crystal Palace? How about Burnley’s win over Chelsea at the beginning of this season and then Kevin Anderson qualifying for the final of the U.S. Open? The surprise results of these sporting events may have “shocked” you and your bet slip. It may have caused you to lose money this year. Was this your kind of betting experience this year? Which one defines your betting experience, you need to know that all happened for one reason or the other. Whether you won a lot of money or vice versa, we hope you’ve learnt from the experience and you’ve moved on? We’re excited about 2018 already! We get to do it all over again; enjoy so many sporting events and also make money from them. While we wait for all those tournaments, what kind of betting experience did you have in 2017? Does this article describe your experience or did you have a different experience? We sincerely wish you good luck, Adekunle!